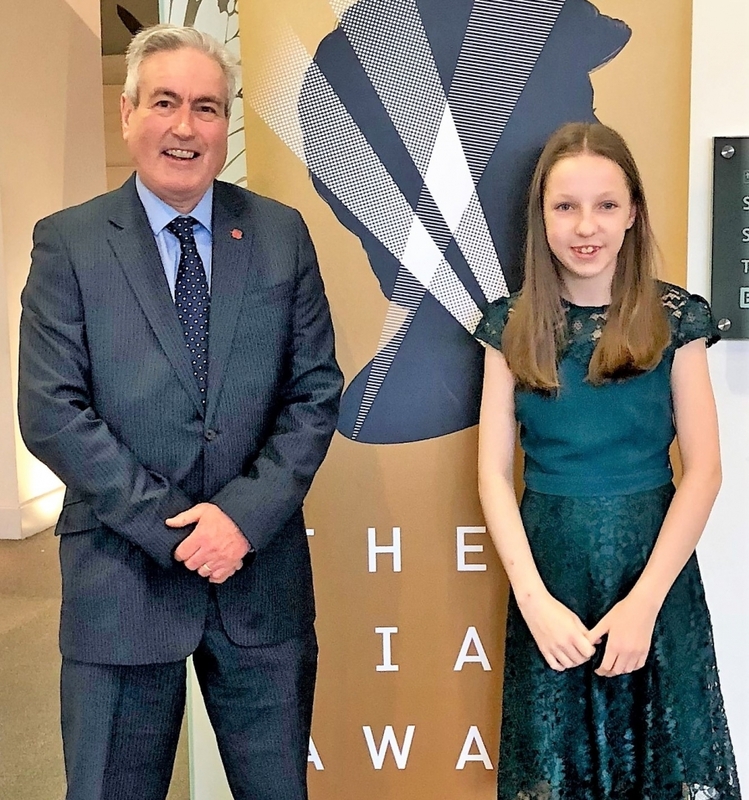 Campaigning Prestonpans schoolgirl, Grace Warnock, was presented with the prestigious Diana Award at a ceremony in Edinburgh earlier this week. Grace invited local MSP Iain Gray, who has been a supporter of her Grace’s Sign campaign on invisible disabilities and accessible toilets from the beginning, to join her at the presentation, which took place at the National Museum of Scotland. The Award is the longest running award for young people presented to individuals and groups through a retrospective nomination process only. Young people do not work towards the award, but rather demonstrate their suitability through their actions, without any expectation of reward. The Diana Award follows numerous other recognition of Grace and her campaign, including a British Citizen Youth Award (BCyA), Young Scot Award and a Points of Light Award from the Prime Minister. “The Diana Award is a very prestigious accolade which only a handful of young people around the world are presented with each year. 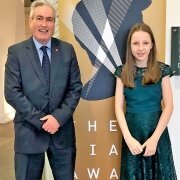 “It recognises outstanding social action and humanitarian work, with some truly remarkable children and young people receiving the award over the last 19 years. “Grace’s campaigning for greater awareness and understanding of issues around invisible disabilities, and particularly the use of accessible toilets, is one of the most inspiring I’ve seen during my time in politics.